Everyone likes the look of a well-shaved beard. It is one indicator of a properly-groomed and well-kempt man. However, even with the continuous efforts to keep up with the grooming techniques, it can be super tedious to have to visit a barber every two days because the beard just won’t stop growing. For some men, it is their type of hair that becomes too problematic with too much notable growth. There is no excuse for running around with a low-quality blade in this age and time where many good quality blades are all over the market, like the likes of oster 76 blades. That said, if you are particular about your shave lasting longer than the way it has been, then your razor should have three or more blades. The logic is that the more the blades, the thorough the shave will be. 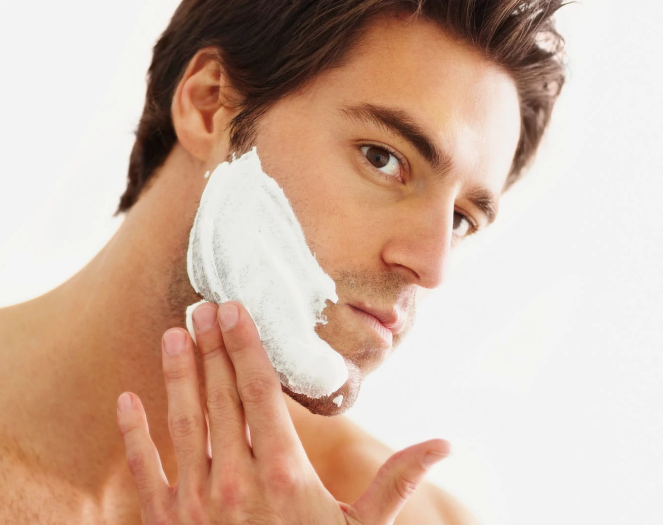 This way, you don’t have to keep repeating and going in for more rounds to attain the preferred shave. You not only speed up the shaving process but also have a cleaner shave than you would have with one blade. Notice that with three or more blades, you achieve fewer side effects of shaving, for example, less irritation, ingrown hairs, cuts, among others. Ultimately, the more passes you have, the more razor burns, and other effects, you attract. Now that you have procured a razor with three or more blades, you cannot use it forever. With usage, the blades become blunt and less effective in achieving a perfect shave. The worst bit about shaving with a dull blade is that within no time, the little prickly hairs will start showing off without much regard for your efforts to keep them under. Do not worry so much about the recommended number of times you should replace your blade in a month, as it depends on the number of times you shave. Again, with a good quality razor, you may notice that the blades remain sharp for a longer time than other types of razors. If you have been shaving before your shower, then that could be the reason your shave doesn’t last a long while. Ideally, when you shower, the exposure that your beard gets from the water makes the hair strands stand out. Once all the hair strands are properly exposed, it becomes a lot easier to cut the beard from the roots. This way, you do not leave any stray hairs that might sabotage your shave style and in this case, its longevity. Besides, consider that the moisture, humidity, and heat from the shower helps soften your skin. At this stage, it is much convenient for you to shave, knowing that the blade will glide through smoothly and cut out the beards. Exfoliating allows your skin pores to open up, riding it from dirt, sweat and product build-up that has accumulated over time. The exfoliation process usually entails a scrub that will help remove the dead skin cells along with the dirt. In fact, if you can find a scrub with glycolic, lactic, or alpha hydroxy acid, it is perfect for dislodge ingrown hairs, leaving you with smooth skin. The advantage of exfoliating a day before shaving is that it allows you to remove hair as close to the root as possible, achieving a thorough shave that has more longevity that skipping this step. Most men do not regard facial hair as other hairs. The facial hair deserves some goodness from you when it comes to moisturizing. Ideally, the moisturizing part of the shaving process is not only to complete the results, but rather to ensure that both your skin and the hair remain moisturized. The need for this process is that when hair is moisturized, you reduce the prickliness of the hairs, cutting down on ingrown hairs. Ultimately, this step can also prolong your shave. You can do this with either a shave gel or cream.